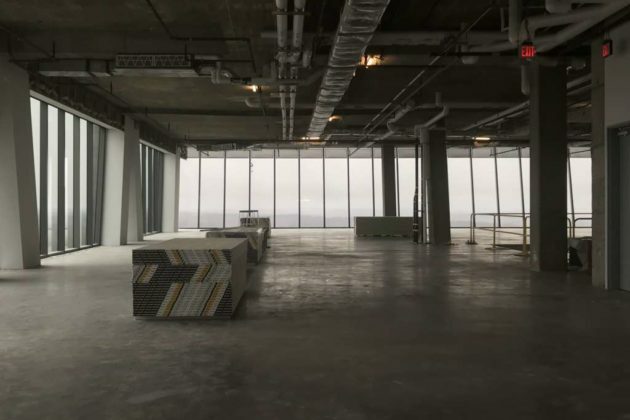 Google’s Reston employees will have quite the view once they move into their new office space next to the Wiehle-Reston East Metro station. 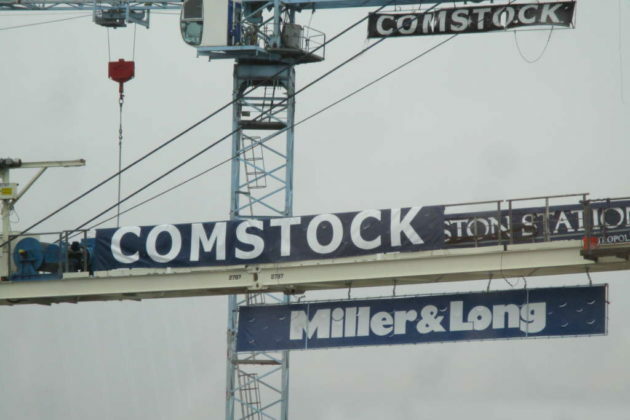 The tech giant will have the top four floors of the 16-story, Helmut Jahn-designed building at 1900 Reston Metro Plaza, Maggie Parker, a spokeswoman for Comstock Companies, told Reston Now. 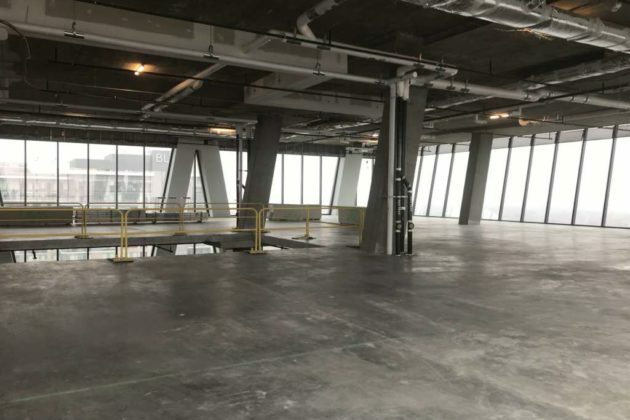 Reston Now took a tour of the top floor for a look at Google’s future workspace. 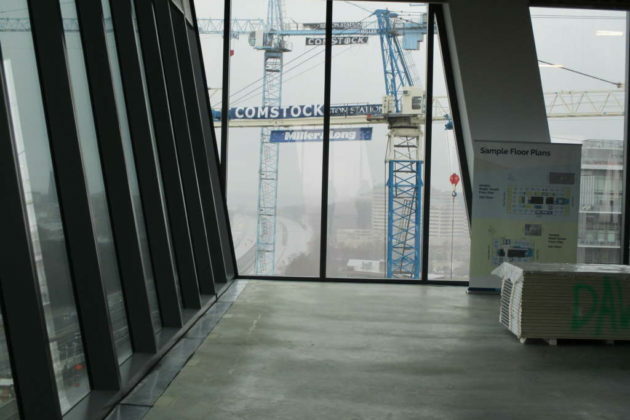 On a clear day, Google employees will have views of Tysons to the east and Dulles International Airport to the west, Parker said. Looking south, they’ll be able to see the Fairfax County Government Center. The building offers a glimpse of Sugarloaf Mountain in Maryland. 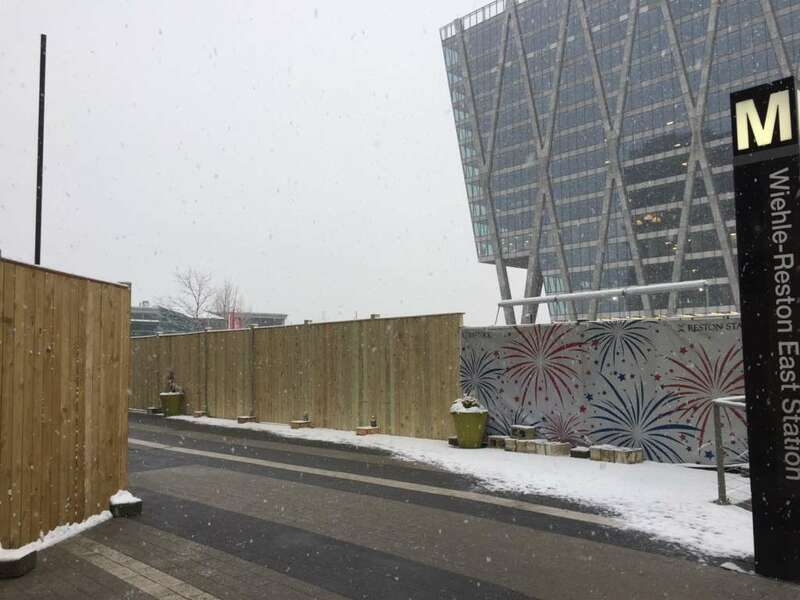 The area around the building is also set for some changes in the future. 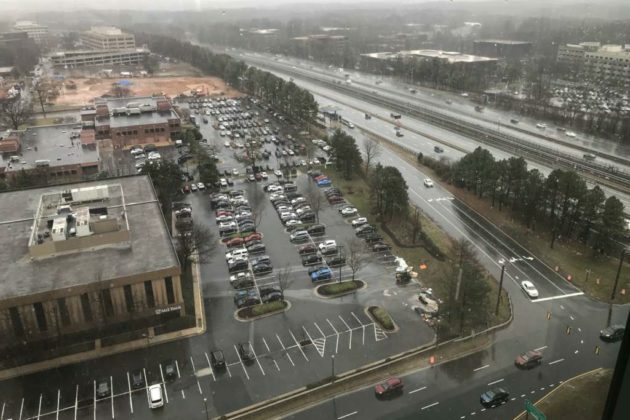 Plans for a hotel, two residential buildings and an office building will give a new look to the land between Reston Station Blvd and Sunset Hills Road, Parker said. 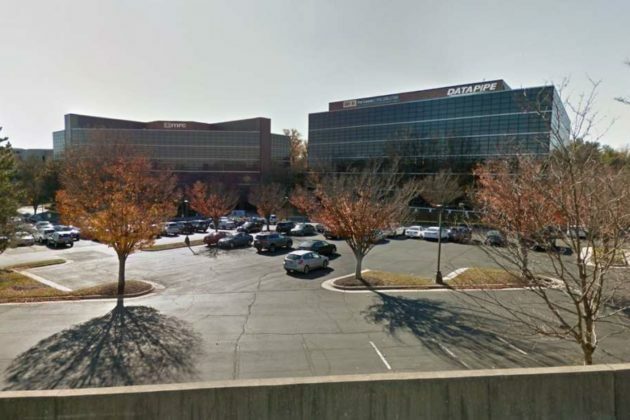 While Google hasn’t officially announced its new Reston residence (the secret is out, thanks to permits), the company previously said it will significantly expand its operations in Northern Virginia as part of a $13 billion round of investment in new offices and data centers across the U.S.
“With new office and data center development, our workforce in Virginia will double,” Google CEO Sundar Pichai wrote in a blog post on Feb. 13. Parker said she does not know how many workers from nearby offices (there’s one in Reston Town Center) or new jobs will fill the Google space. 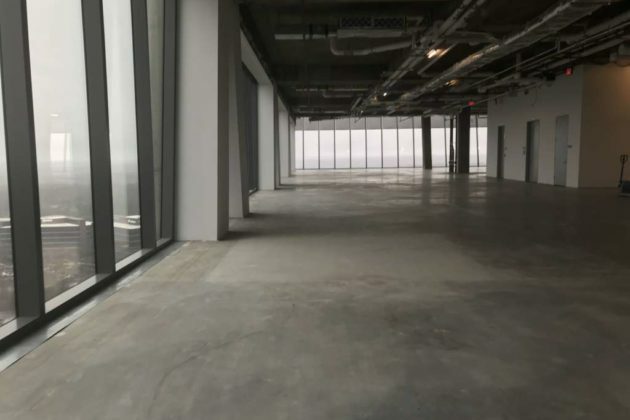 Google won’t be moving into an empty building — a workspace called Spaces currently occupies the fourth and fifth floors. 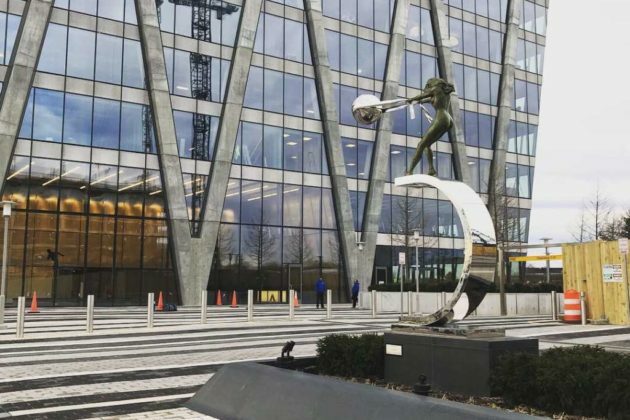 Google has started fixing up office space at Reston Station a month after the tech giant announced plans to double its workforce in Northern Virginia. 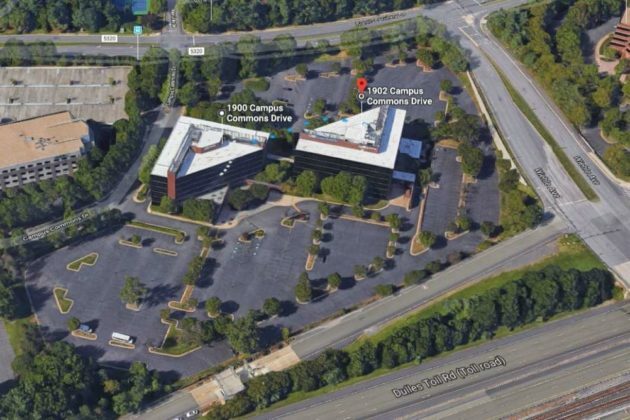 Google filed permits for the spot at 1860 Wiehle Ave — the site of Comstock’s Reston Station mixed-use development next to the Wiehle-Reston East Metro station. 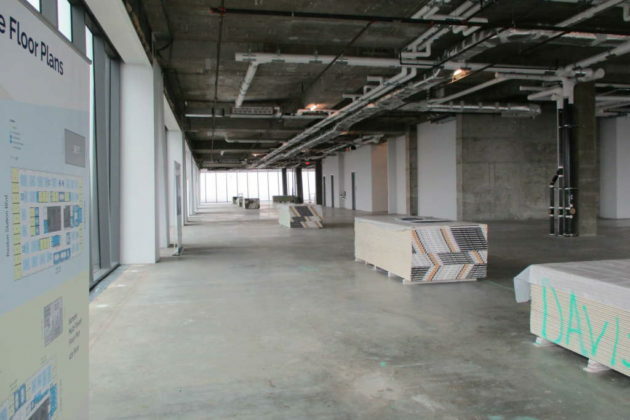 The tech giant is seeking interior alterations with office space furnishings. 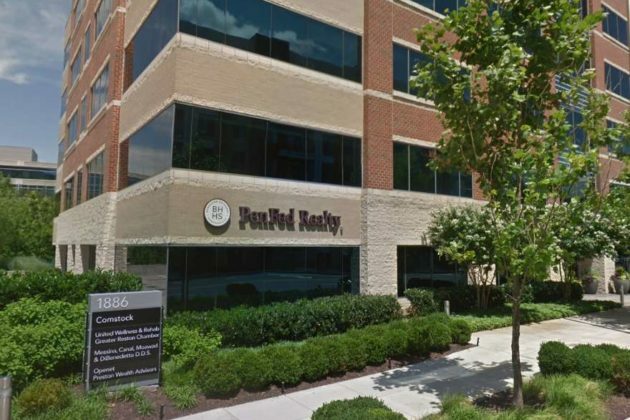 One of the two permits mentions “peer review,” which is a way to give plans priority status during the building, mechanical, electrical and plumbing plan review process, according to Fairfax County. Google has not announced exact locations since it revealed last month the expansion plans as part of a $13 billion round of investment in new offices and data centers across the U.S.
News outlets previously reported that Google had purchased sites in Ashburn and Leesburg for two new data centers. Google currently has an office at Reston Town Center. 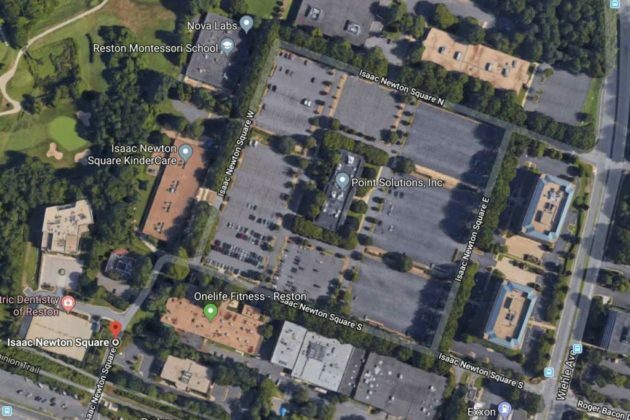 M&T Bank plans to open a new location near Reston Station about half of a mile away from its current spot along Wiehle Avenue. 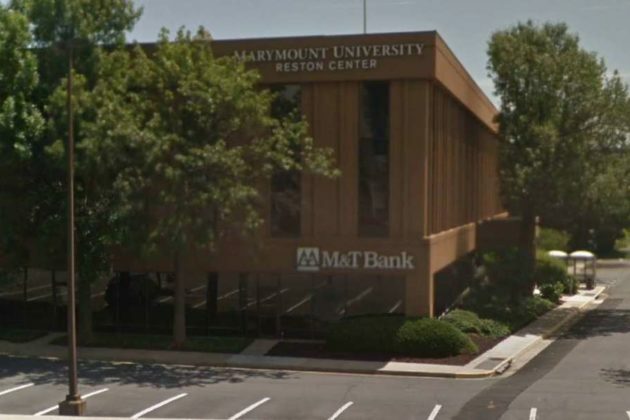 The regional bank is set to open late fall at 1886 Metro Center Drive, Maggie Parker, a spokeswoman for Comstock Companies, told Reston Now. 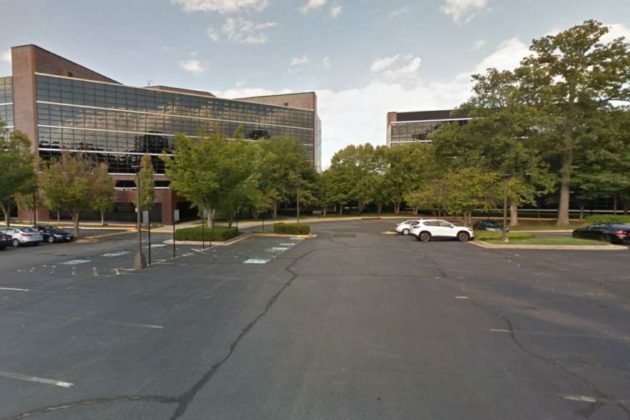 “The office will be on the same level as Metro Center Drive, just inside the front door, across the lobby from the Greater Reston Chamber of Commerce,” Parker wrote in an email. M&T has a branch and ATM nearby at 1861 Wiehle Ave. It is unclear at this point whether or not the Meter Center Drive opening will affect the current location. 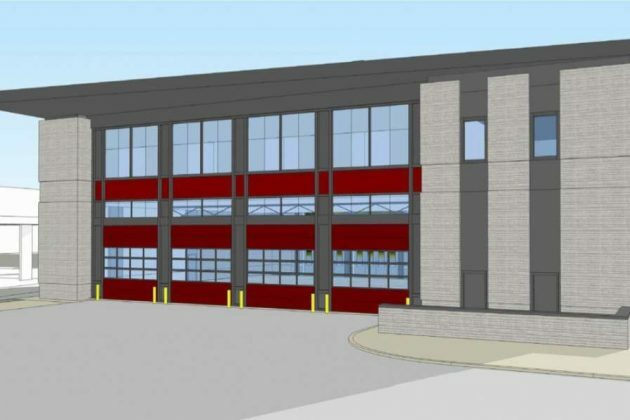 With a little less than a year before construction is scheduled to start on the new Reston Fire and Rescue Station 25, project is starting to shift from conception to physical. Laurie Stone, a strategic planner for the Fairfax County Fire and Rescue Department, said residents should start seeing work on the temporary fire station soon. 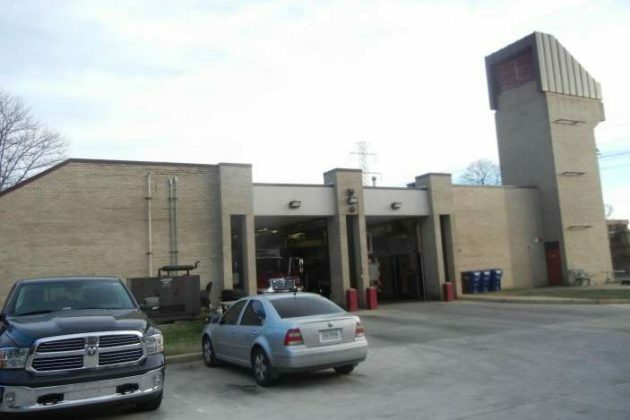 After the fire crew moves into the temporary station at 1800 Cameron Glen Drive, Stone said demolition of the old fire station at 1820 Wiehle Avenue and reconstruction will begin in late summer-fall next year. The new fire station is expected to open in spring 2021. The new station is scheduled to be 17,150 square-feet, over twice as large as the current 7,750 square-foot station. It will include four bays for the fire trucks on the first floor and administrative offices, a day room, kitchen, storage and bunk rooms on the second floor. 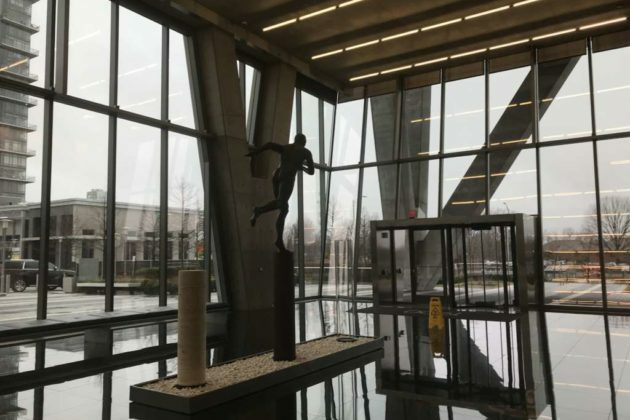 Stone said the station is built to facilitate any necessary new equipment or additional staffing required as the area near the Wiehle-Reston East area continues expanding. 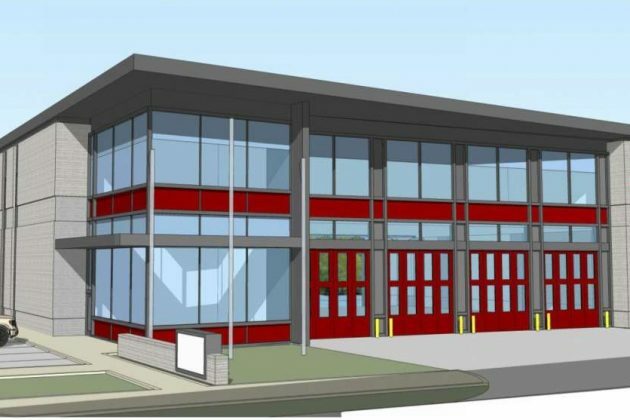 The new fire station has also taken into consideration the developments planned nearby, like the redevelopment of Isaac Newton Square just behind the station. As the area becomes increasingly crowded, Stone said it’s important to ensure the vehicles can quickly and safely enter and exit the station. Stone also said the station development is keeping in mind the planned bridge over Wiehle Avenue which will be adjacent to the fire station. That bridge is planned to be built by October 2022. An aerial bridge on the Washington & Old Dominion Trail over Wiehle Avenue could be constructed by October 2022. 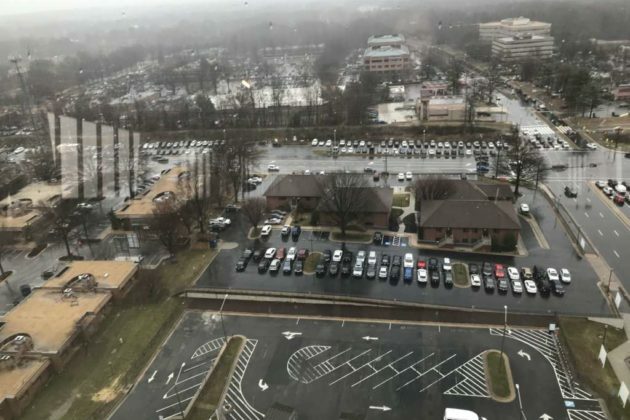 Earlier this week, the Fairfax County Board of Supervisors approved final design plans for the project, which is expected to cost $11.4 million, according to the Fairfax County Department of Transportation. The bridge includes retaining walls and directional access to Wiehle Avenue for trail users. 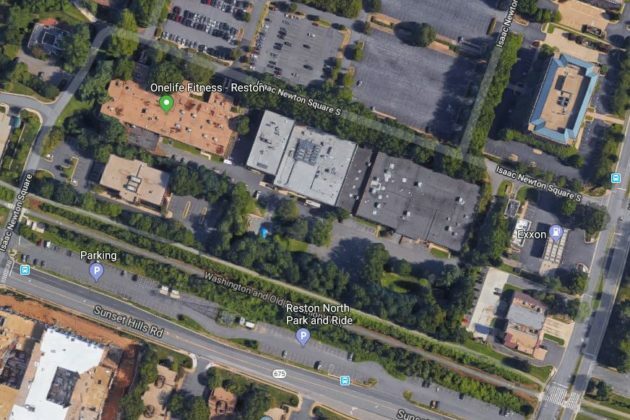 Wiehle Avenue would be widened from Sunset Hills Road to the Reston Fire Station property in order to make way for future on-road bike lanes. Plans have long been identified by the Reston Metrorail Access Group’s plan to improve vehicle, bicycle and pedestrian access near the new Wiehle-Reston East Metrorail Station. Robin Geiger, a spokeswoman for FCOD, said design plans are currently 90 percent complete. 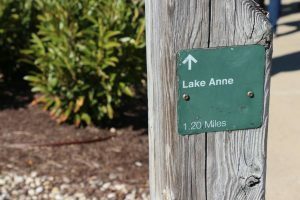 The project timeline expects utility design and relocation to take a little over a year-and-a-half, land acquisition to take a year, construction authorization and permitting to take eight months and construction to take one year. Hunter Mill District Supervisor Cathy Hudgins said the project faces the challenge of ensuring the bridge maintains synergy in the midst of urban properties that are coming together down the street. The developer of the Isaac Newtown properties, which are being redeveloped, said they were concerned the project’s scale interferes with the development. County officials said they would work with the developer to mitigate any concerns. However, according to FCDOT, the height of the bridge is necessary because the design of the bridge uses existing infrastructure in order to cut cost costs. The height is also vital to meet grade requirements and requirements stipulated by the Americans with Disabilities Act. A grade-separated crossing and bridge at the Washington & Old Dominion Trail at Wiehle Avenue could be coming closer to reality. 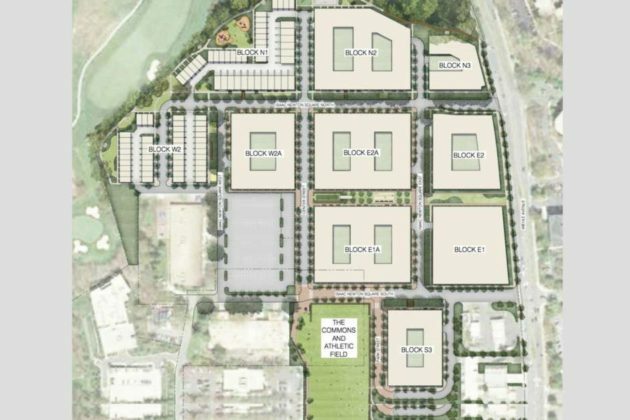 The Fairfax County Board of Supervisors will consider a motion tomorrow (July 10) to allow the county officials to move forward with land acquisition and final design plans. The project, which is expected to cost $10 million, aims to address safety concern at the intersection. Changes include a new bridge, retaining walls and directional access to Wiehle Avenue for trail users. Wiehle Avenue would be widened from Sunset Hills Road to the properties near the Reston Fire Station. The pavement would be widened for on-road bike lanes in the future. 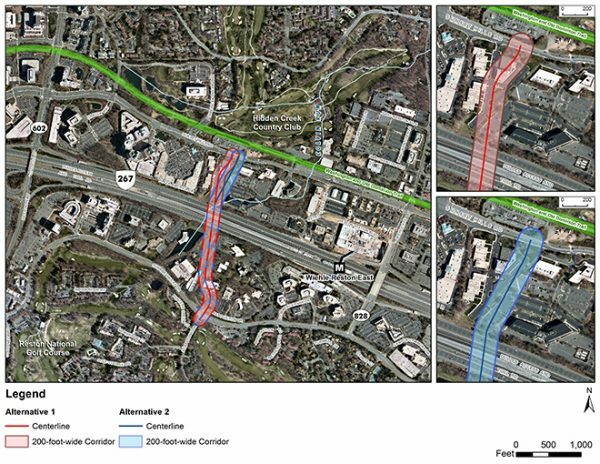 Improvements were contemplated in Reston’s Metrorail Access Group’s plan to improve access near the new Wiehle-Reston East Metrorail Station. The new fire station planned in the area would be built before the pedestrian bridge. An exact timeline for the project has not been set. Nearly $132 million is being sought to fund the Soapstone Connector, a long awaited, half-mile-long extension between Sunrise Valley Drive and Sunset Hills Road. 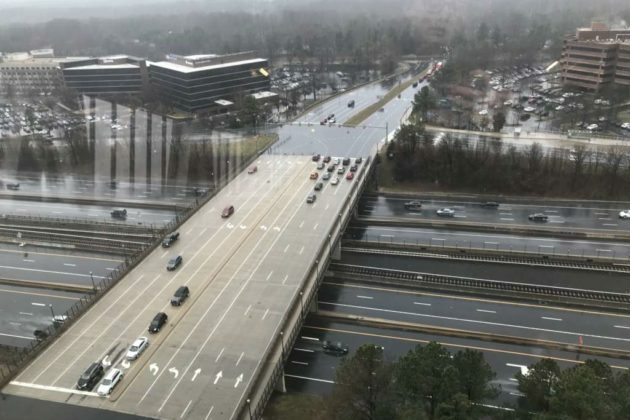 The funding request for the $169.2 million project comes roughly five years after the Fairfax County Board of Supervisors approved a hybrid design for the project, which will provide an additional overpass over the Dulles Toll Road and ease traffic on south Reston roads. 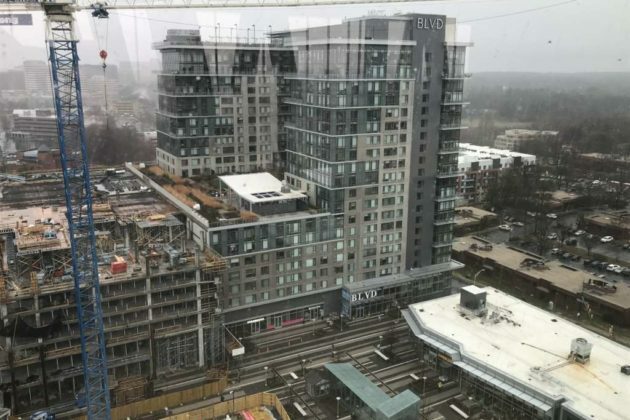 Major development in the Wiehle-Reston East area, including Comstock’s Reston Station mixed use project, is expected to generate additional traffic on area roadways. 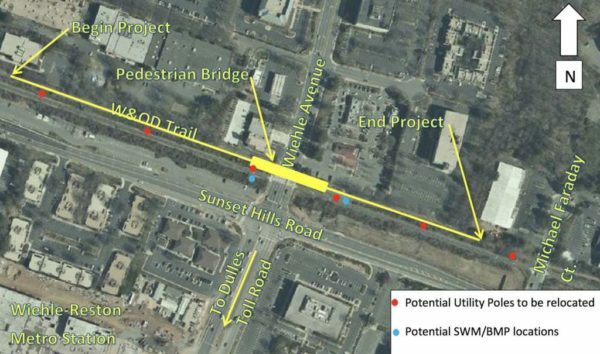 Local and state officials have long identified the need for the project, which aims to alleviate bottlenecks along Wiehle Avenue at Sunset Hills Road and Sunrise Valley Drive and improve connectivity for pedestrians and bicyclists to the Wiehle-East Metrorail Station. According to preliminary plans, the new road will include a three-lane cross section with one travel lane in each direction and a two-way, left-turn-only lane. Other features include five-foot wide bicycle lanes on each side, a five-foot wide sidewalk on the west side and a 10-foot wide path on the east side. Construction is not anticipated until after 2023. Additional design, engineering and environmental work is expected to continue through 2022. In 2014, the county’s board placed the project on its list of high priority projects for 2015 to 2020. A funding gap of $25 million remains to complete the project. Requests to the Commonwealth Transportation Board have been made. Construction is expected to cost $45 million. The Northern Virginia Transportation Authority will review the request, which is one of 60 candidate transportation projects in the area. 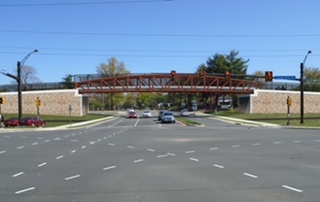 NVATA is seeking public comment on the project on May 10 at 3040 Williams Drive, Suite 100 in Fairfax. Online comments can be submitted through Sunday, May 20. Check out these “Throwback Thursday” photos of the early days of Station 25, Reston, posted on Twitter today by Fairfax County Fire and Rescue. 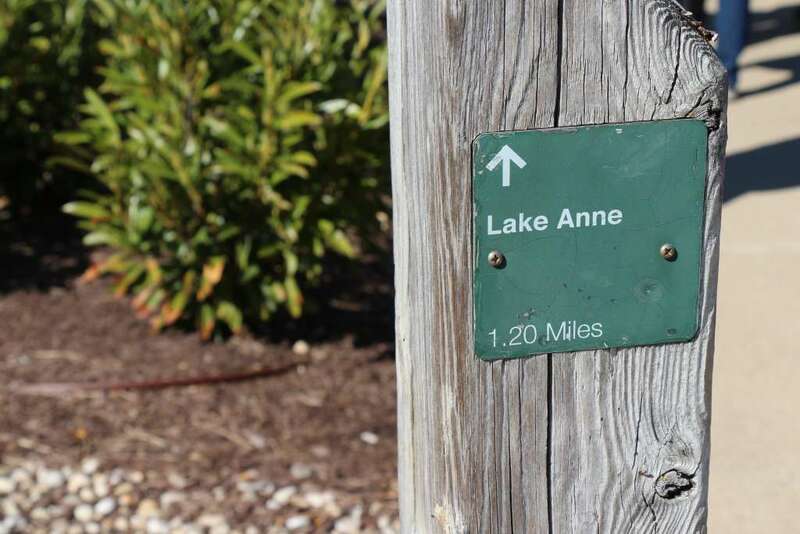 Soon, the station as it has been known by longtime Reston residents will change forever. 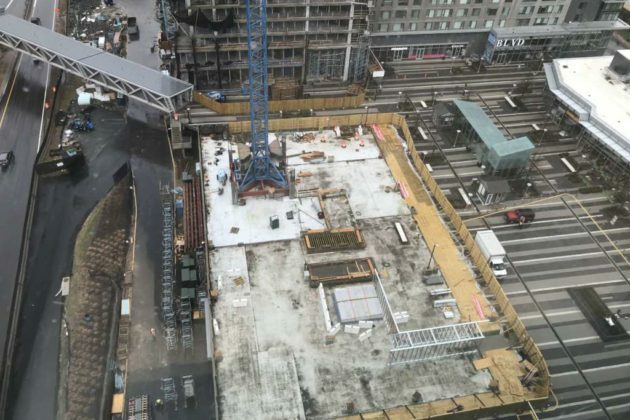 The work on the new station is estimated to take place from spring 2019 through late 2020. While the permanent station is being replaced, a temporary fire station will stand at 1800 Cameron Glen Drive. 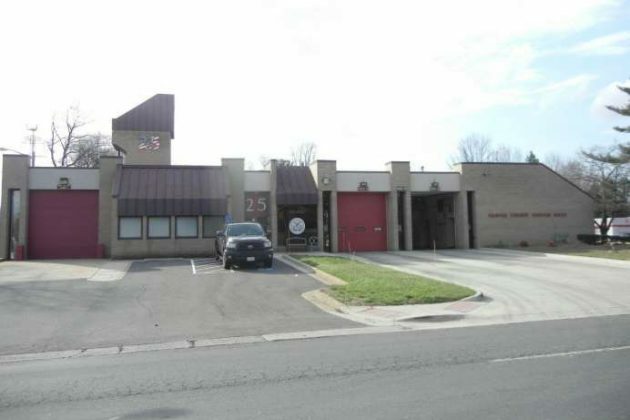 The Fairfax County Planning Commission unanimously gave its OK to the plan for the temporary fire station earlier this month, and the County Board of Supervisors did the same at their meeting this week. You can see more historical photos of the Wiehle Avenue station at the FairfaxFirefighters.org website. Drivers who use the northern end of Wiehle Avenue will want to set aside another couple of minutes starting the day after Memorial Day. Virginia Department of Transportation signage on the road indicates scheduled milling and re-paving will begin Tuesday morning. It is scheduled for 9 a.m. to 3:30 p.m. weekdays after that. The good news for drivers? The work shouldn’t take long. Only a small amount of the road will be re-paved: about 500 feet on the east side of the intersection with Fairfax County Parkway and about 700 feet between Reston Parkway and Reston Avenue. 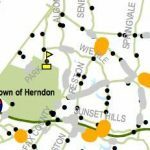 Bigger re-paving projects are planned for Reston later this season, including on Colts Neck Road, North Shore Drive, Twin Branches Road, Glade Drive and North Village Road. 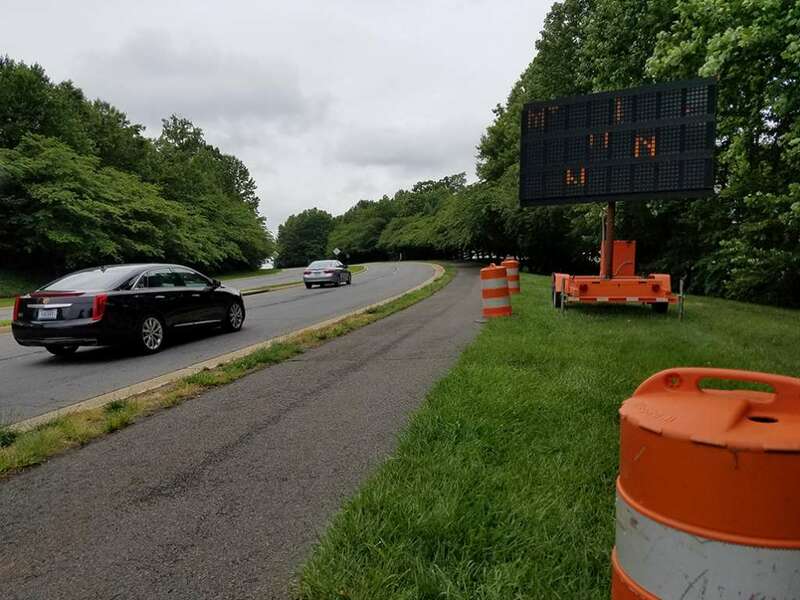 After a car crash with injuries on Wiehle Avenue earlier this week, many Reston Now readers chimed in that “something needs to be done” about the stretch of Wiehle from Baron Cameron Avenue to Sunset Hills Road. The road is on a hill in that section and features a slight blind curve. Monday’s crash occurred at Wiehle and Inlet Court. That intersection was the site of nine crashes in 2015, according to Fairfax County Police. It was the second crash at the intersection in 2016. 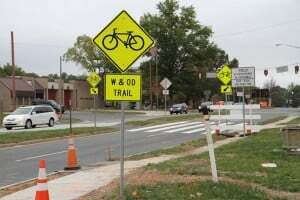 A pedestrian was hit and killed by a driver at Wiehle and Chestnut Grove last October, one of three car-vs.-pedestrian incidents in 2015, records show. The woman killed in that crash was crossing Wiehle at dawn outside of a crosswalk. FCPD points to several intersections as trouble spots on Wiehle. Since the start of 2015, there have been 20 collisions at Wiehle and North Shore Drive. The busy intersection at Baron Cameron has had 17 crashes in that time frame. 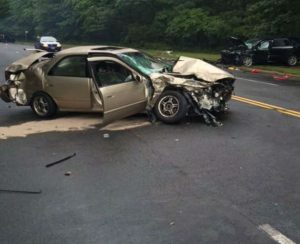 There have been 12 crashes at the intersection at Sunset Hills since the start of 2015, FCPD records show. That area continues to be a trouble spot, with the W&OD Trail also crossing Wiehle there. Access to the Silver Line station at Wiehle-Reston East and egress from Fairfax County Fire Rescue Station 25 also complicate things at that intersection. The Fairfax County Department of Transportation plans a pedestrian bridge to take the W&OD over Wiehle. The $10 million bridge likely won’t be built until 2021, however. Meanwhile, while it seems Wiehle is an increasingly dangerous road, FCPD spokesman Officer Don Gotthardt points out that incidents are actually down in 2016. There were 53 collisions on Wiehle in 2015. With a little over three months left to go in 2016, there have been 25 recorded by police. Gotthardt said the reasons for the decline were unknown. Overall, there have been 78 collisions recorded since the start of 2015, though, which does it make Wiehle a trouble spot. What do you think should be done to make it safer? Tell us in the comments below. Also, check out the document from Fairfax County Police mapping and categorizing what has happened on Wiehle in the last 20 months.